This exquisite 7 bed, 5.5 bath, 5,903 sq ft custom estate is designed to be BREATHTAKING & nestled on ½ acre in the prestigious ”The Groves” subdivision! 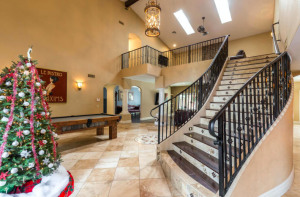 The captivating entryway features towering beamed vaulted ceilings, dramatic staircase, lots of natural light, surround sound, luxurious wood & travertine flooring & planation shutters throughout. The finishes are simply divine and include exquisite custom stone accents. This magnificent open floor plan complements the stunning living room, stately formal dining room & beautiful great room with a fireplace. 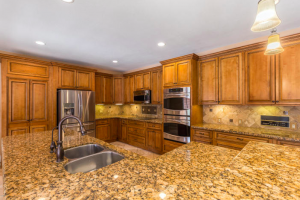 You will love the fully appointed gourmet kitchen with beautiful granite counter tops, upgraded stainless steel appliances, impeccable cabinetry, huge walk-in pantry & spacious laundry area. Impress family & friends with your two magnificent Master retreats (1 downstairs), 5 gigantic guest bedrooms (1 guest bedroom can be utilized as huge theater room, if desired) enormous loft featuring an alluring fireplace & sky lights. The huge resort style backyard oasis features a sparkling diving pool with water features, huge extended covered patio, detached ramada, fire pit, RV gate and delicious mature citrus trees which embrace this impeccable estate. NO HOA!!!! Opportunity to obtain the plans/permit to build detached casita/guesthouse. 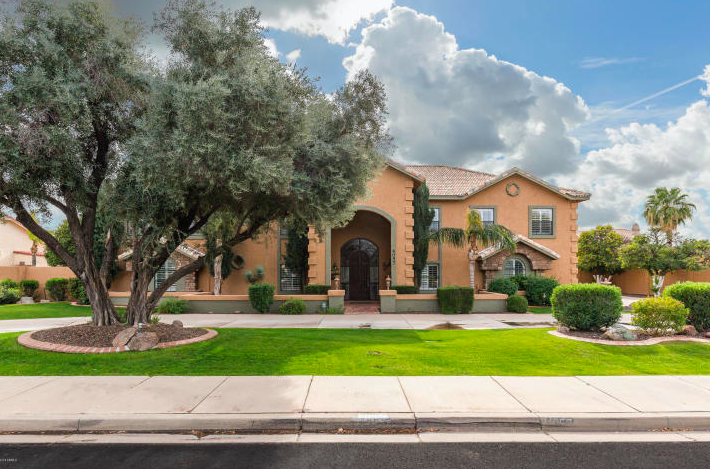 Make your appointment today to view this gorgeous home. Previous articleStunning Modern Architecture in the Heart of Tempe! 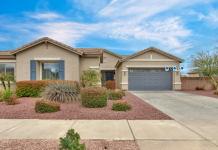 Next articleBeautiful Home in Gilbert That Offers 4 Bedrooms/3.5 Bathrooms!